An evening at Studio 35 has always been one of my favorite things. I always felt lucky that I could walk a few blocks to an Art Moderne theater built in 1938, that still showed movies. 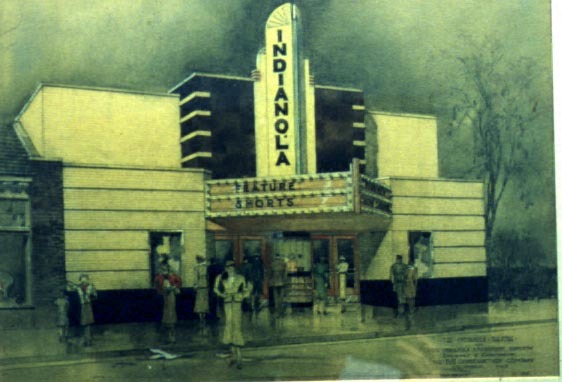 It also had the distinction of being the first theater to acquire a liquor license in the United States of America, which should make it a historical landmark in my book. People drive past it everyday expecting it to be always there and maybe meaning to visit in the future to catch a flick. As a regular, I was never guilty of this. My winter coat's pockets was full of old tickets, like so much confetti. I first visited the theater many years ago, when a married couple ran it. It was dollar movie night and there was five people attending. With the future looking grim, they sold it to John Conti and said if anyone could save the place, he could. Along with Conti, the ever present management of Todd and Gabe helped make the place what it is now. This should not be forgotten. As far as the staff is concerned, I walked in not knowing a soul and I ended up with many friends. These friendships with the patrons developed over a long period of time and run deep. 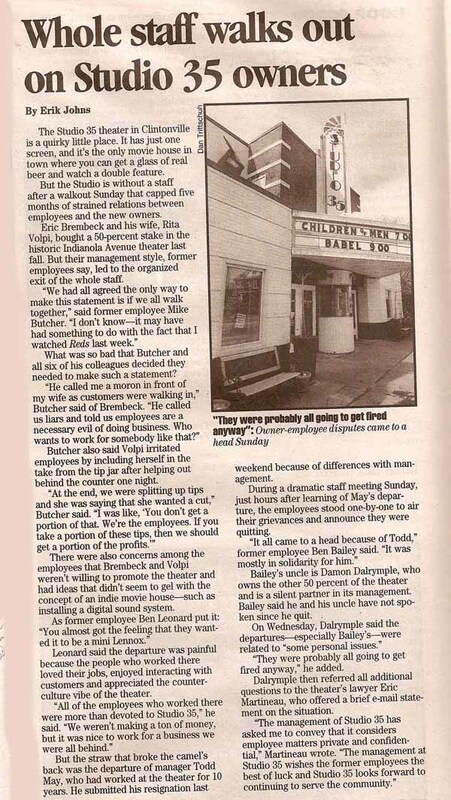 I have always associate Studio 35 with the people who work there. The nine workers who quit last week all wanted the same thing. To keep the place alive and preserve the unique character of the theater. Speaking as one of many confused long time customers, what ever went wrong had better get fixed in a hurry. It just doesn't seem like the same place anymore.